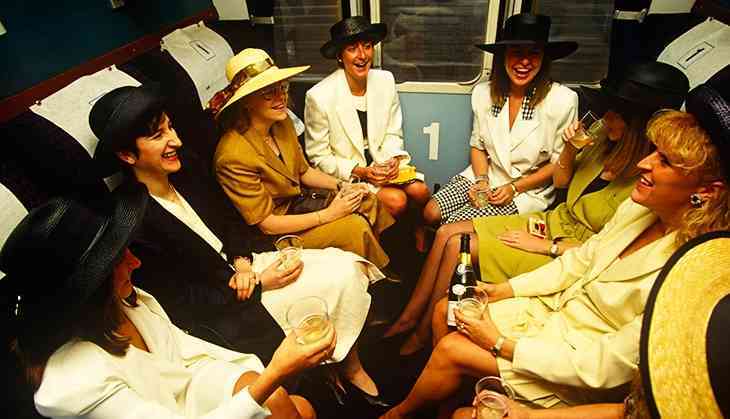 Why is it that British women do not want women-only carriages on trains? Should the U.K. have women-only carriages on trains? It was an idea first proposed by the Corbyn campaign in 2015. It was dropped after a backlash from women who felt that they should not be segregated for something that wasn’t their fault: sexual offences. Chris Williamson, a Labour frontbencher, recently revived the proposal, saying that it would give women the option of ‘a safe space’, if they wanted it. The issue of sexual offences on trains is back in the headlines because of new figures revealed by the BBC last week, which show that such offences have nearly doubled in the last five years. According to recent statistics from the British Transport Police 1,448 sexual offences on trains were reported in 2016-17, compared with 650 incidents in 2012-13. According to a You Guv poll that surveyed 3000 people, about one in four (23%) in the UK backed the idea; 58% rejected it. In 2015, when it was first suggested, Yvette Cooper had responded: ‘It’s turning the clock back, not tackling the problem.’ British Rail had women-only carriages since the 1840s; they’d been phased out completely by 1977. ‘To separate women on public transport is to send perpetrators the message that nobody is trying to prevent them from committing crimes. Instead it merely postpones their actions until the station, or the bus stop. It does nothing to tackle the wider problem of sexual harassment and assault, merely moving the problem around. In fact, it is also extremely insulting to the vast majority of men, who it implies are innate sexual predators with no control over their own actions. Women-only carriages exist in other parts of the world - in the UAE, Japan, Mexico and, of course, India. From the Indian perspective, this seems like a non-issue. As a child, I was a regular in the ladies’ compartment on the Bombay local’s Western line. I did many journeys from Vile Parle (west) to Churchgate station in the heart of town. No, I wasn’t taking unescorted joyrides, merely accompanying my mother. I quite liked the world of the ladies compartment. Mother and I pushed it as far as we could. I think it was when I was about 13-14, and started sprouting some light facial hair, that fellow passengers gently suggested that I should be in the general compartment. It’s a sort of unofficial drawing of lines; you switch compartments once you hit puberty. I quite liked the world of the ladies compartment. In the general compartment, the men were always reading Saamna or solving the crossword puzzle. The women were more talkative. The conversations were unceasing and wide-ranging. More women would board the compartment to sell combs, buttons and small ornaments. And, for some reason, there were always more eunuchs in the women-only carriages, extorting loose change from passengers. Every time a group got on board, my mother would whisper to me to keep a stony straight face. ‘Don’t look flustered.’ They’d always make a beeline for me, pinching my cheeks, clapping in my face and making some comments in a sing-song voice about how fair I was and how adorable I looked. I felt like hugging them and doing a friendly fist-bump, but following my mom’s advice I stuck to a stony face and avoided paying any ‘hafta’. In India, a proposal to increase women-only carriages would have been welcomed. More women-only hostels are also welcome. In England, as students, we stayed in mixed halls-of-residence and shared washrooms, and there was never any problem. Students from Asia and the Middle East adjusted to the new regime. It was less stifling and more human. Statistics-wise, there is little proof that women-only carriages do anything to bring down sexual offences. It does perhaps give women and children a more comfortable space to travel during rush hour. In China, there was a problem that during rush hour women-only carriages would have several empty seats, and so the idea was scrapped. In India, we subscribe to a victim-blaming culture that takes a low view of both men and women. In India, we happily subscribe to a victim-blaming culture that takes a low view of both men and women. That man is a beast, is taken as a given by society. The woman is a temptress. As the defence lawyer in the Nirbhaya case said in the BBC documentary, India’s Daughter, a woman is like a box of sweets who needs to be protected at all times from men, who are described as mohalla mongrels who can’t control their urges. As Bates argues, ‘To introduce segregation on public transport in response to sexual assault is to suggest that it is inevitable. It sends the message (deliberately or not) that men will always harass and abuse women and so the only solution is to constrain women’s freedom “for their own safety”’. The debate again underlines primary differences between western society and the rest of the world. Gender equality is about trust between the sexes. It’s a more mature and evolved approach, and the only one. It reveals something dark and perverse about societies that believe in such segregation, especially the complete and total lack of faith that men have in themselves, and that women have in them.